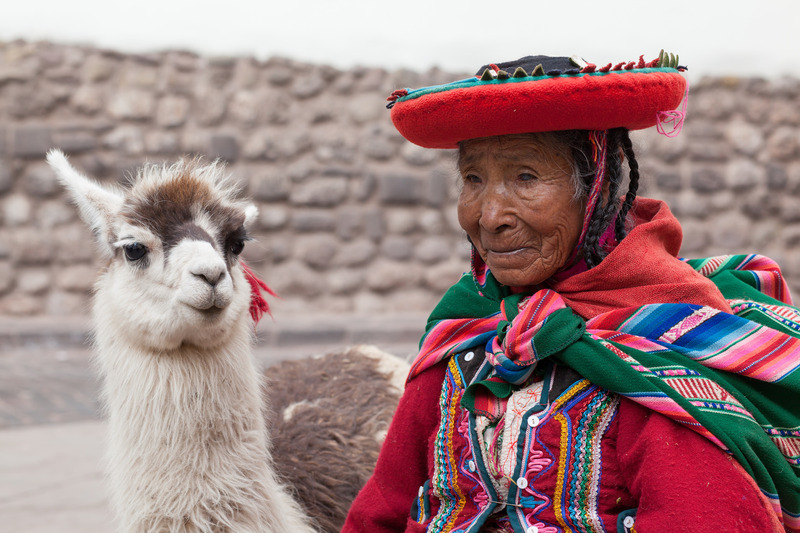 Each region of Peru has its own characteristics that vary with its natural environment and its culture. Just like most places in the world, people migrate between the different regions of their country to obtain better standards of living. The Amazon (selva) is mostly inhabited by natives that use the natural resources in the forests and the rivers in order to survive, eat and build their villages. The Andes (sierra) are influenced by the Inca culture and the cold winter temperatures which in return results in a hostile climate. Subsequently, the coast (costa) is now the economic center of the country where the majority of imports and exports of various products are exchanged. Each area has its advantages and disadvantages, however many Peruvian still migrate in search for a new start. Between 1960 and 2013, the percentage of urban population increased from 46,81% to 77,95%. This is impressive yet interesting for a country that praises its support towards projects concerning resources in rural areas. 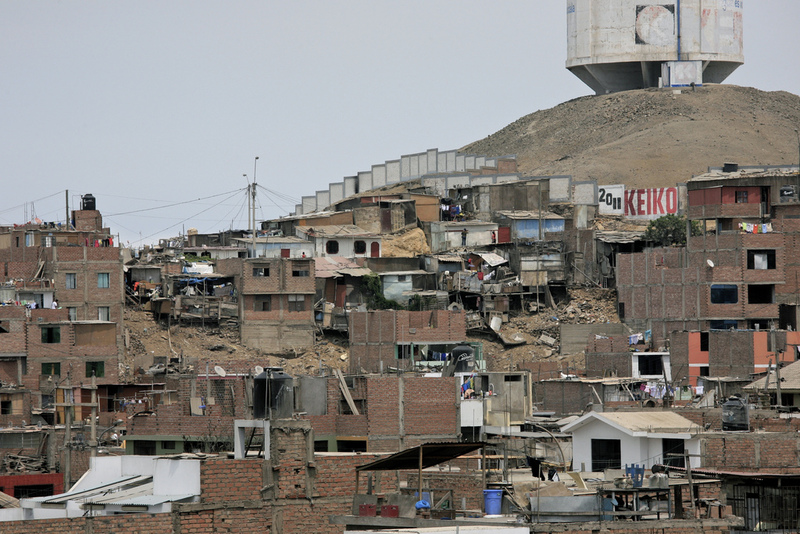 Why is Peru facing this phenomenon of urbanisation and what happened in the past 50 years? First of all, the political changes during the Peruvian civil war (Sendero Luminoso 1980-1992) have had their consequences on migration. The reasons are simple; burned houses, neighborhoods where they lived devastated, extreme violence and the expansion of coca traffic. As a result, an estimated 200,000 people between 1980 and 1990 in the Department of Ayacucho moved from rural zones to urban centers by obligation, inter alia, to Lima, Ica and Huancayo. The department of Ayacucho was paralyzed for nearly 10 years after the arrest of Abimael Guzman ( leader of the Sendero Luminoso). Once they moved, migrants formed their own villages and illegal settlements, all without obtaining any compensation from the government, or anyone for their losses. However, this is only displacing the problems of poverty, unorganised zones and violence. The migrants are often attacked by the police and suspected of being members of the Sendero Luminoso, a movement that oppose the government and eventually paralysed the country into a civil war. After the civil war, there has been a growth of discriminationwithin the Peruvian community towards those who come from regions where the left-Maoist movement was very active and supported. Because of the racism towards these migrants, constant clashes with the police and the state have put a burden on mending the relationship between the two parties.The government is trying not only to stop the Sendero Luminoso for good, but continually fight against drug trafficking and money laundering. However, the population has lost faith in the state, especially in rural areas. Cities are expanding at a remarkable rate and the problems faced by the people arebeing displaced. Thus, social insecurity is an expanding issue, inter alia, cause by political history of the country. As for the Peruvian Amazon, internal migration is a phenomenon that can be observed in the blink of an eye. Each year, the cities of this region are expanding and the small villages disappear. This area represents 13.4% of the total population in Peru. In the 1940s, Iquitos was the only town included in the Peruvian city system. Today, we can count not only Iquitos but also six other major city in the country. The development of local markets, the exploitation of hydrocarbons, alternative cultures and the black market (wood, gold, coca, and fisheries) have encouraged these mass movements. There is also the question of social mobility. For most Peruvians, symbolic wealth is something important, such as having a house or financing the education of their children. When the natives of the Amazon area migrate to these cities, they often cannot afford to buy a house immediately and end up living in pitiful conditions. However, they make this sacrifice in order for their children to have access to better education. The natives, accustomed to bartering,have a traditional trade system that is not recognised in the cities. This forces them to integrate themselves into the market to obtain the money they need to survive. By integrating themselves to the market, individuals therefor understand that it is easier to do the transactions in an environment where trades are conducive, which means in the cities. Traditional medicine which has been a reliable form of medicine through a healer is slowly becoming more and more uncommon throughout the population. The transmission of knowledge is interrupted and that does not mean that because the migrants are now in an urban zone they will get “better” medical care. Often they do not have access to drinkable water or proper sanitation buildings. There is also non-voluntary migration caused by, inter alia, illegal mining, the expansion of land set aside for coca crops or the burning of agricultural fields. Each year, 150 000 hectares1 of Peruvian rainforest disappear. In other words, lands are being destroyed and people are forced to move. As presented on the web-site of the Education Ministry (Ministerio de Educacion), the government has a certain amount of money for programs already in place for each department in the Peruvian provinces. These allocations are determined by the density of the population of each province. Thus, urban centers are often the focal points of the ministries since it is where the majority of the population is located. The current education system set up by the government does little to help the educational institutions in my opinion, even though there is three levels of government that are responsible for ensuring the “right of education”. There is a continuous improvement but still, a lot needs to be done. Some Peruvians will migrate to rural centers to have access to better social services, better education, a sense of security, becoming integrated to new markets and decision-making processes, but in the end, is the new urban life any better than where they came from?